Hoarding lip balms is every girl’s birth right! 😉 Actually wait, lip balms should not be called lip balms anymore because most of us have developed a habit of referring them as baby lips. Isn’t that correct? Baby lips has become the second name of lip balm for me! And the credit goes to Maybelline for this. Maybelline launches amazing products from time to time, and these Candy Rush lip balms are the newest addition to their baby lips range. 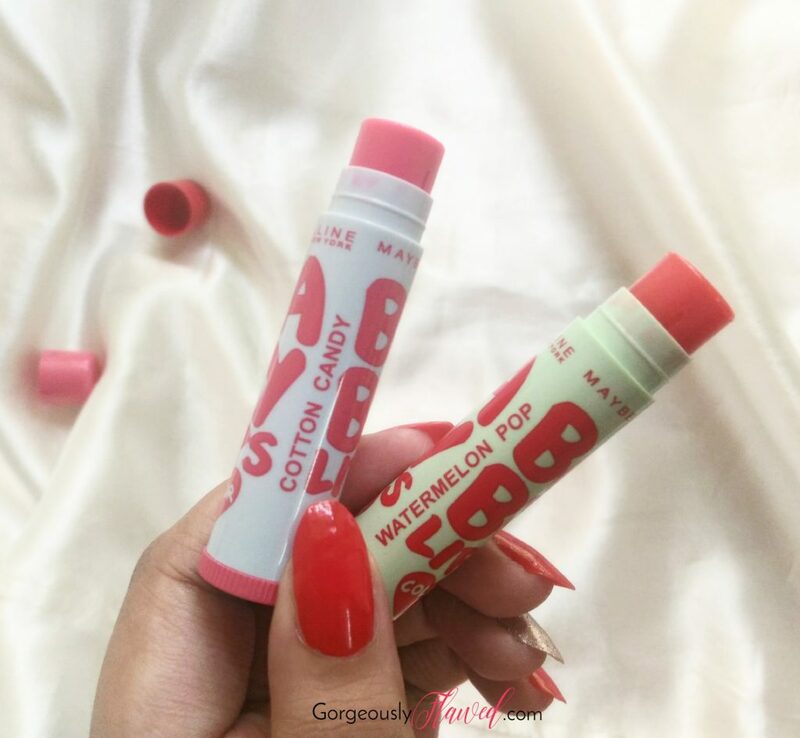 So for my readers who are lip balm boarders, here is the review and swatches for New Maybelline Baby Lips Lip Balm Candy Rush in shade Cotton Candy and Watermelon Pop. Experience candy taste & color on your lips with the new Maybelline Baby Lips Candy Rush Lip Balms.These provide a rush of candy color with a kick of yummy candylicious flavour. With Benefits of SPF 20, these provide protection against the sun’s rays while Coconut Oil and Vitamin E moisturize dry lips for 16 hours.Drench your lips with these fun candy-kissed tinted lip balms that come with the actual sweetness of a candy! Keeps your lips moisturized all day. These new candy rush lip balms come in the usual, colour coded twist up packaging with “baby lips” written on them in a cute font. The caps of these twist up tubes shut really tightly and I find it annoying because it is very hard to open the caps with just one hand. I might break my nails someday while opening either of these lip balms’ cap. 😑 I have used lip balms from Maybelline’s 3 different ranges, but I never experienced any such issues with them. 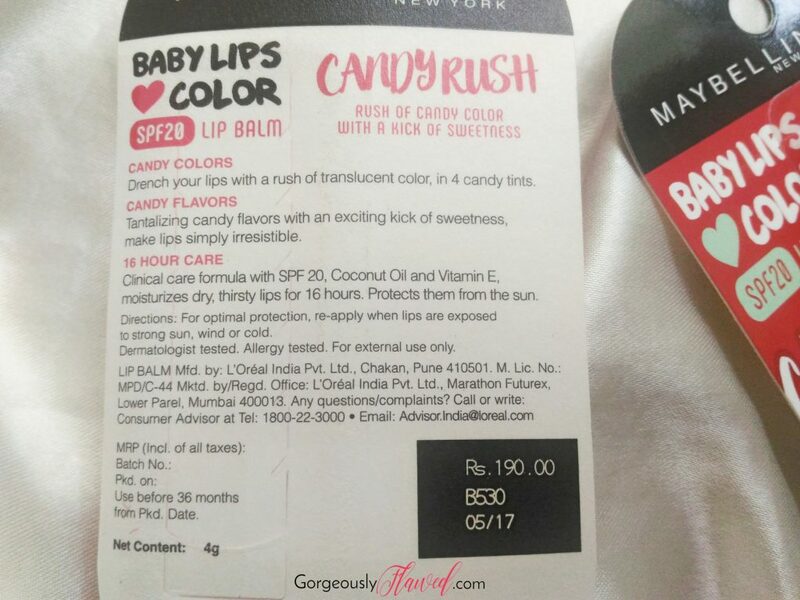 In India, the candy rush lip balms have launched in total 4 shades. I got to know about the launch through the TV commercial Maybelline has been running for a few weeks now. They launch a new range of lip balms after every two three months so I was not really surprised, but I desperately wanted to try out the new shades. I own enough lip balms, but I wanted a pink one because I did not have it after I finished the whole tube of Pink Shock from the baby lips Electro Pop range. (I loved it that much!) I have never owned a red tinted lip balm before so I was excited to own Watermelon Pop too. I grabbed both of the shades from Nykaa without thinking twice. You can see in the picture, the swatch of watermelon pop is nowhere close to being true to what it looks like in the bullet. It somehow looks peachy/orange-ish. I got this much colour pay off after swiping it around 4-5 times, just so it would show up on the swatch picture. In real life, it barely shows up on my pigmented lips. The one and only thing I like about this shade is that it smells exactly like watermelon and tastes sweet too! 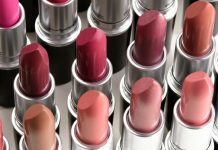 😉 No one tastes lip products voluntary, but lip balms and lipstick somehow find their way out to our taste buds (I mention this line in all my lipstick / lip balm reviews because I don’t want anyone to think that I am a weirdo who eats lip products). 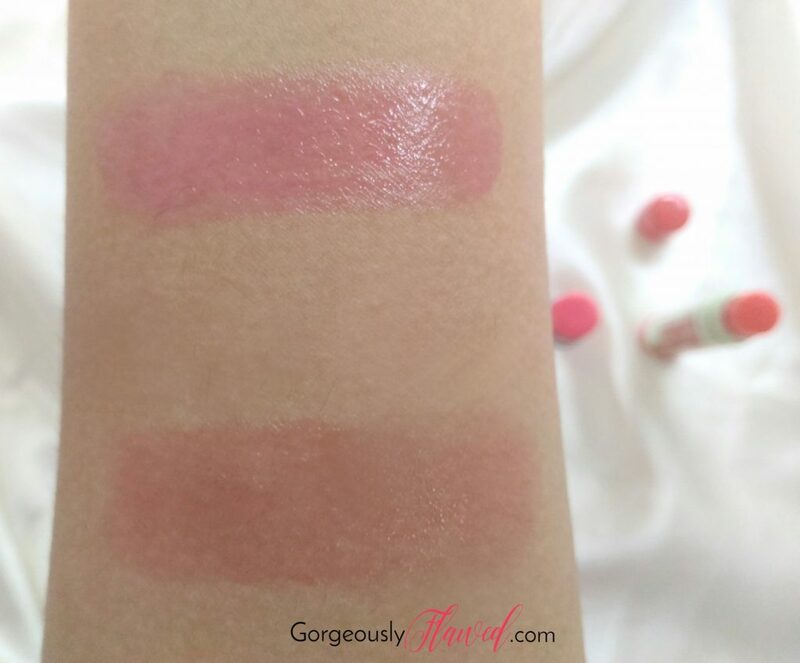 They have an SPF of 20 which is very rare in affordable lip balms, that too in tinted ones! They are super affordable at Rs.190/-. They are easily available online and in stores. They last long on the lips, mainly due to their waxy texture. They are not as hydrating, moisturizing and buttery as the previous baby lips lip balms I have tried. Their caps are hard to open. They are not that pigmented. The Watermelon Pop shade is not pigmented at all, you will be disappointed if you expect it to have a pretty red tint. are those your real nails ? ?